1. Make a minimum £5.00 donation to the page. 2. Leave a name and contact number in your donation message option. Winners Drawn Sat 9th July in Buttercrane Shopping Centre, Newry. 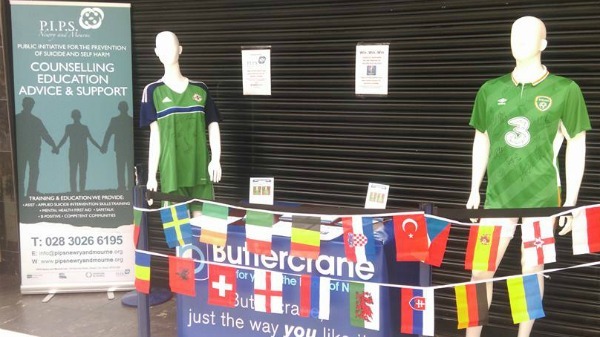 Sponsors are Buttercrane Shopping centre Newry and Statsports.